CHEVROLET SAIL PETROL is a luxurious sedan car that helps people who wish to stand out. With the unmatchable looks and incredible charm, the SAIL SEDAN is as captivating to drive as it is to look at. It blends elegance and eases with such sophistication that it will leave you besotted. The vibrant style of bold front-end designing and, the trendy and sporty 6 spoke 14 inch wheels will blow out mind. It has 2-Din Audio System with Bluetooth facilitated music streaming and mobile hands-free utility. It possesses 1.3 l turbo-charged diesel engine and 1.2 l petrol engine. The SAIL SEDAN is surely a safe bet as it lets you prevent the locking of the wheel and helps to retain control over steering in case of alternative braking manoeuvres. 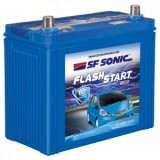 CHEVROLET being one of the highly enhanced and sophisticated cars, it needs nothing less than the best batteries available. 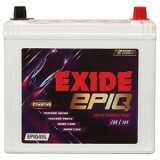 The best of batteries can now be purchased online effortlessly without any glitch through Moxikart.com. 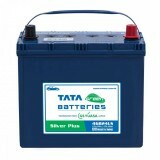 Moxikart.com offers branded batteries with many amenities, at a very reasonable price. Some of the main amenities of the site are: •	Batteries from a comprehensivearray of brands like EXIDE, AMARON, TATAGREEN and etc. can be chosen by the buyer. •	The delivery of the batteries will be free. •	There will be a free installation of the batteries. •	Payment can be done through credit card and cash by delivery is also accepted. 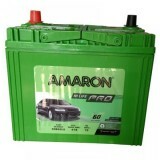 •	EMI payment for the batteries is also provided for the convenience of the buyers. •	There are many discount offers that be availed by the customers. •	The order can be placed in a simple way by call, SMS and etc. •	The batteries at Moxikart.com are of the unsurpassed quality and are made with international equipment which makes them work without any glitch.